I wanted to share this FaceBook post with the group. I have met Captain John and he gets the importance of a sustainable fishery for all. I suggest those of you that share these same views read the article below and email NY Senator Kaminsky. Looks like we need to get those letters written now to Senator Kaminsky. The NY Recreational & For-Hire Fishing Alliance is prodding their members to send letters to Senator Kaminsky seeking to have John McMurray removed as his proxy and inserting a proxy more beholden to the for-hire fleet. So now we need to have these emails show up in numbers – big numbers. Emails should be sent to Senator Todd Kaminsky at kaminsky@nysenate.gov; his aide Haile Meyers should be copied on the email; her email address is meyers@nysenate.gov. 1. The email that you are writing is in response to an online posting by the NY Recreational & For-Hire Fishing Alliance (NYRHFHA) seeking John McMurray’s removal (BE SURE TO INCLUDE THIS FACT). 2. Fisheries Management must be based on the best available science – not unsubstantiated claims and anecdotal evidence. 3. 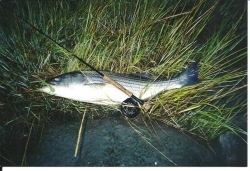 The recent draft of the striped bass technical assessment reveals the striped bass fishery to be overfished with overfishing occurring. This is what the best available science has revealed and is consistent with what many in the recreational sector have been saying for years and in direct contrast to what the for-hire industry has been claiming. 9. The for-hire fleet continues to deny and discount the best available science with unsubstantiated claims about fish swimming in other parts of the ocean, effects of Hurricane Sandy, and more. None of these claims are backed by scientific research. 10. We have no interest in causing economic harm to the for-hire fleet. Our interest is in insuring a robust striped bass fishery that all segments of the recreational and commercial sectors can benefit from. We find the comments from the for-hire industry to be based primarily on their financial interests and they do not represent the great majority of conservation minded recreational anglers. 11. 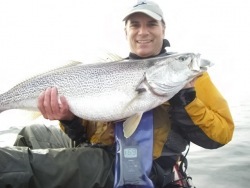 John McMurray has demonstrated an extraordinary grasp of fisheries management and marine science, not only for striped bass but all species he has been involved with on the ASMFC management boards. 12. We have not agreed with every comment that he has made or vote that he has cast but he has shown himself to be a fair representative of the overall recreational sector. *This data was provided by the DEC in response to Freedom of Information Act requests. Edited April 12 by Drew C.
Will input from other states be considered? I don't see why they wouldn't. After all, what occurs in one state can affect another. E.g. Where were all the 2011 bass we were supposed to see last year? From what I read most were already culled before they ever had a chance to make the trip north. None of us have anything to lose by sending the senator a quick email. Do it. Regardless of what state you’re in. This happened to a lesser extent a few weeks ago. So much so that John actually asked it to stop because the senator got flooded with responses. I will do it later today. John is a guy that will work for the resource. He’s a charter guy that gets it - no fish and he’s out of a job. Thanks Drew. You're absolutely right. He is one of the few that does actually get it. Without them he doesn't have a job. I've also noticed the for-hires/charters are typically the ones that make the most noise which is why they have been able to over-fish the stripers for as long as they have. This needs to change if we want to be able to continue to have a reasonable chance at catching any. I remember as a teenager in the 80s we used to only catch rats. 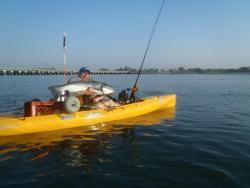 I would occasionally hear of larger bass taken offshore by the party boats out in Sheepshead Bay. I thought that was the only way you could catch them. Much stricter size limits/moratorium and a few years later the same waters I was only catching rats in was now consistently yielding teen size fish. What a difference more conservative measures made. This is why we need to make sure we make our voices heard. Yes, they are the ones that are typically heard. Those old dinosaurs need to go and quick. Legislators care about the opinions of their constituents or, more accurately, care about how to get their constituents to keep them in office. Because the fish is migratory does not mean your opinion counts to them if you are not from their districts. They don’t represent you or your opinions if you’re not in their area of jurisdiction. But this does need to be done. John McMurray is an extremely knowledgeable and capable representative to ASMFC, and has his head in the right place. We all need reps like him. Yeah, that's the ticket, go after the guys catching 5% of the fish, while everyone else is slaughtering them. what the hell, as long as it isn't your ox that is getting gored. Thanks all, will do and will pass it on. So, why in the hell should the guys that catch a mere 5% of the fish have ANY friggin say in this ? why - because they’re greedy fish hogs that only give a crap about their wallets and not one damn about how a public resource is best utilized. What percentage of the fish do you catch? I'll wager that its light years right of the decimal point. So why should anyone listen to you, the self-described greedy fish hog when it comes to any of this fishery management stuff? The guys you are referring to are the ones that fight any meaningful regulations and are a big part of the reason why we are here once again. Some of the the guys you are referring to also believe it is their right to catch every last fish in the ocean. Both are problematic and don't result in a sustainable fishery for everyone.